Crops including grasses, legumes and forbs are planted for seasonal cover to protect the soil during critical erosion periods, especially winter storms and snowmelt. 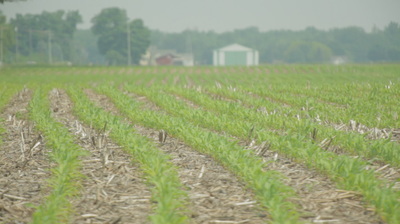 The planting of these winter cover crops is gaining popularity with producers and has been proved to benefit soil health, hold water on agricultural fields and reduce leaching of excess fertilizer nutrients into tile drains. 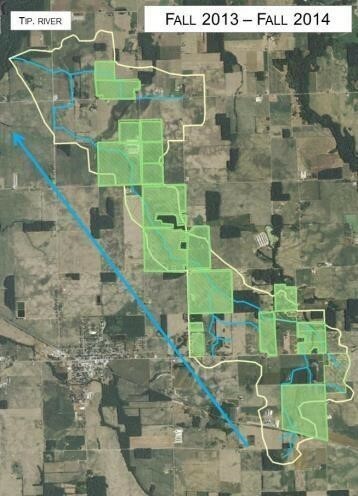 ​Until a few years ago, Shatto Ditch Watershed had very little cover crop coverage. Water quality monitoring was carried out in 2012-2013 when only ~12% of croppable acres were planted with cover crops. In fall 2013, a USDA Conservation Innovation Grant (CIG) enabled a significant increase to ~64% croppable acres planted with cover crops. You can see this illustrated by the green shading on the maps. 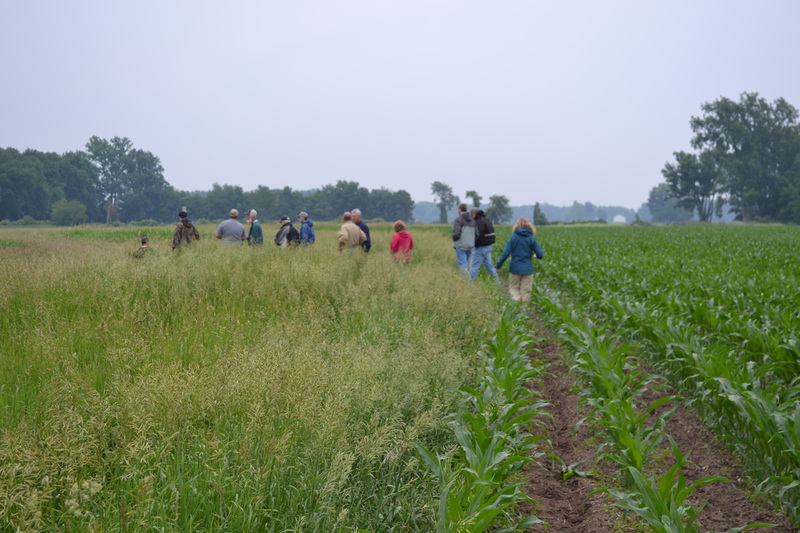 The planting of cover crops in the watershed has been maintained at >60% of croppable acres since fall 2013, allowing our researchers to monitor water quality before and after 'saturation' of the watershed with this best management practice. You can find the results of our monitoring on the Outputs page. 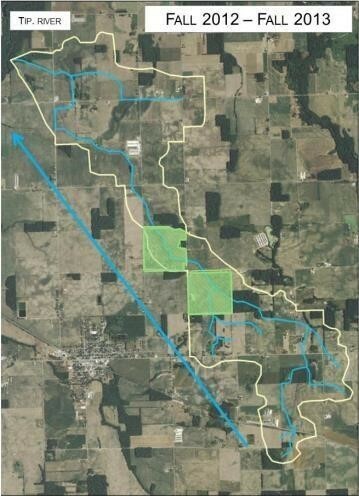 During this project we will be working with farmers to incrementally increase the amount of crop-growing acres planted with cover crops in the Kirkpatrick Ditch Watershed. 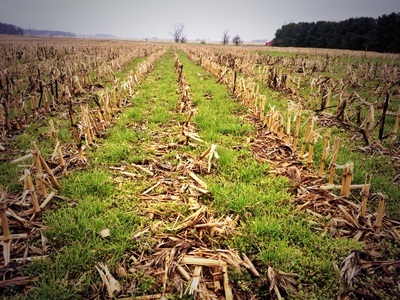 ​Watch this video to hear from Kirkpatrick farmer Jack Wealing who explains why he is using cover crops.